The original and still the best. 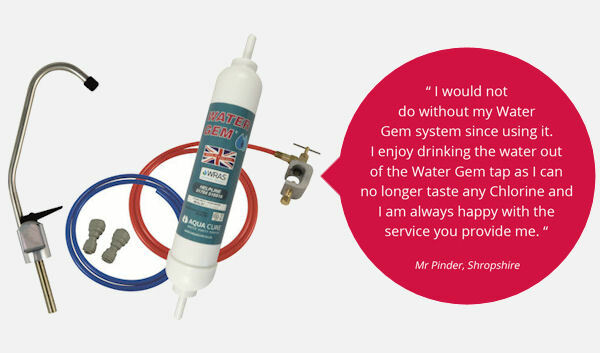 Despite a host of imitators the Water Gem is still Europe's best selling under sink water filter system. 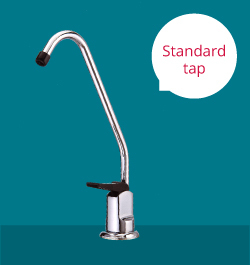 Freshly filtered water from a dedicated tap in your kitchen, the Water Gem comes with everything needed for an easy DIY installation. 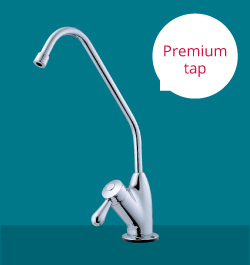 Choose between Premium and Standard tap options. Water Gem filters contain Granular Activated Carbon to dramatically reduce the amount of chlorine in your water as well as reducing any agricultural herbicides or pesticides that may make it in to the mains water supply. Water Gem also contains an advanced polyphosphate to inhibit hard scale forming minerals improving the life of your kettle in hard water areas.